Back in the 1970’s, I still believed that Englands football team could win a major competition after the 1966 World Cup. I should have known better. I remember watching West Germany destroy England at Wembley 3-1 in the European Championship quarter final in 1972 & then go on to win the World Cup in 1974. The spine of that team played for Bayern Munich & included the large glove wearing Sepp Maier, the world class Franz Beckenbauer & the greatest ever goal scorer I have ever seen Gerd Muller. Bayern won 3 European Cups from 1974-1976 & although they then went into a long period of decline in the European Cup, winning only one more in the next 25 years, they finally won it again in 2013 & as a club have set about dominating domestic German football ever since, although they have fallen just short in Europe, with three semi final defeats under a Spanish manager who now resides in Manchester. Just like Bayern Munich, BMW have moved with the times, investing in technology that has made them arguably the most forward thinking world car manufacturer with their ‘Efficient Dynamics’ models which offer incredible fuel economy & low C02 emissions, but retain the drive ability that BMW’s rear wheel drive cars are famous for. How have they done this ? By not settling for second best & by using something that we Brits would be wise to copy, vision. BMW’s previous Efficient Dynamic 1 & 3 Series models were pretty impressive & having driven them in recent years, it seemed difficult for BMW to improve them. But, having tested the 320d & now the new 116d ED, improve them they have. I was never really a fan of the first 1 Series. The original although great to drive was too small to work as a day to day five door family car, with both poor rear legroom & lacking in decent boot space. Yes, it drove well, but you would be hard pressed to call it practical. 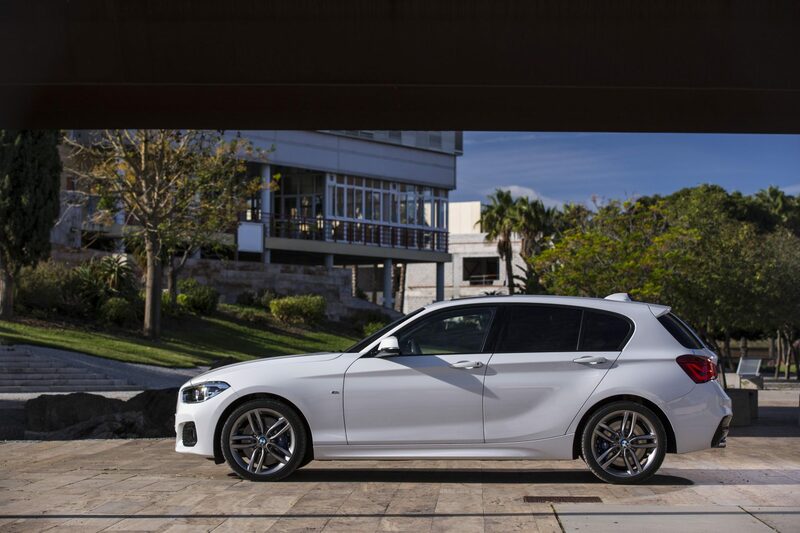 The latest 1 Series alleviates these concerns, offering both a higher quality, more comfortable cabin & a larger, more practical boot, making it a far more attractive proposition for the company car driver who has a family, but who likes to drive their car. The latest 1 Series has more of a rounded design to the 2004 original & this version also rides better then it’s predecessor. 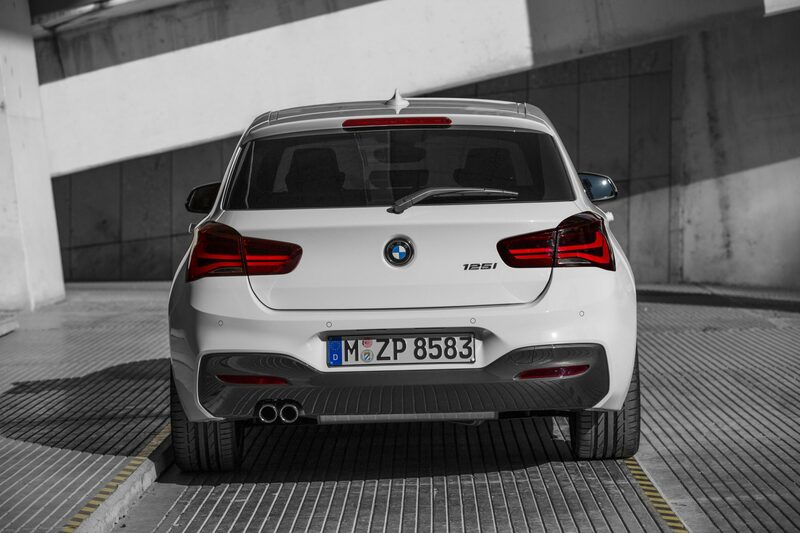 The 116d was the first BMW to emit less than 100g/km. Both Volkswagen & Ford have similarly frugal models in their Golf & Focus ranges. Arguably, both are more practical, with larger boots & more room in the cabin, but the BMW with 114 bhp, has 10bhp more to play with than both the Golf Blue Motion & Ford Focus Econetic rivals, and covers 0-62mph in 10.5 seconds, almost a second quicker than the Golf, going on to a top speed of 121 mph. The ED model uses a 1.6-litre diesel unit, but with just two-tenths separating the 0-62mph times over the standard 116d the gap in performance is barely noticeable when your driving with the car in Sport mode, which sharpens throttle responses. 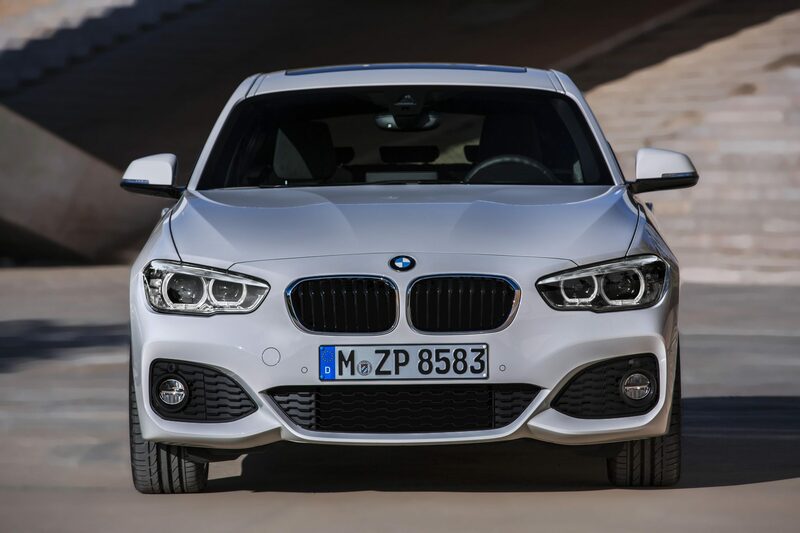 Drive it in Eco mode & BMW claim a combined return of 74.3 mpg, which is 12 mpg more than the standard 116d. The accurate short-shift box, makes it easy to move up and down the gears quickly, too. Even the Stop/Start function is neat & tidy, although you really do need to depress the clutch to it’s full extent to avoid the car jerking away from the lights, at least until you get used to it. The 116d ED does above all of these, is make you smile. Despite my best efforts to criticise this car having driven it, I couldn’t. Perhaps you’d struggle to get three adults in the back & it is as ab avowal package showing it’s age, but other than that , this is a great car. How good is it ? The only car I’ve driven recently that is as good to drive as the 116d, returns over 50 mpg on the combined cycle, is as well made & comfortable & is seriously enjoyable is…. the BMW 320d. Make of that what you will, but just like Bayern Munich who are the current Bundesliga Kings, the future looks very bright for BMW that other Bavarian company.